Are you looking for an exciting and affordable business opportunity? Do you want to turn your passion for the performing arts into a rewarding and profitable career? If you want the freedom and flexibility of running your own business but without the same level of risk as starting your own venture from scratch, we may have the perfect solution for you. You could spread the Noodle magic to your own area by investing in one of our great value franchises. Noodle Performance Arts is now expanding into new locations across the UK and we’re looking for enthusiastic and hard-working franchisees to join our growing team. When you become a Noodle franchisee, you are given everything you need to launch in your exclusive territory. 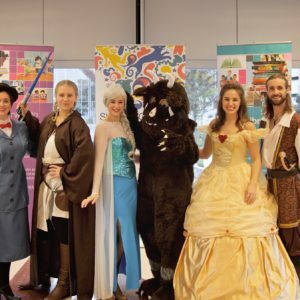 From Day One, you can deliver performing arts and dance classes as well as themed children’s parties. You receive full training as well as ongoing management and marketing support to help you fulfil your maximum potential. As a Noodle franchisee, you will enjoy all the benefits of owning your own business but with the confidence of a successful business model. You will be part of an established brand and will be using our tried-and-tested lesson plans. Why our franchise is different! 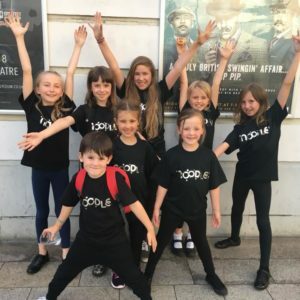 Our focus at Noodle is on providing flexible and affordable performing arts training, making our classes much more accessible and appealing than traditional stage schools. This makes your potential customer base much wider than that of the competition. We make sure that you have everything you need to run your business in place right from the start. This includes all the lesson plans and equipment you need – all included in the franchise fee. To find out more about running a Noodle franchise, please see our FAQs, call us free on 0800 1930502 or request a copy of our franchise prospectus here.